The defining moment that tells you entered your adulthood is – along filling your first tax report – watching cooking shows. And when I stumbled upon Gordon Ramsay trying traditional Finnish food I couldn’t help but share it. 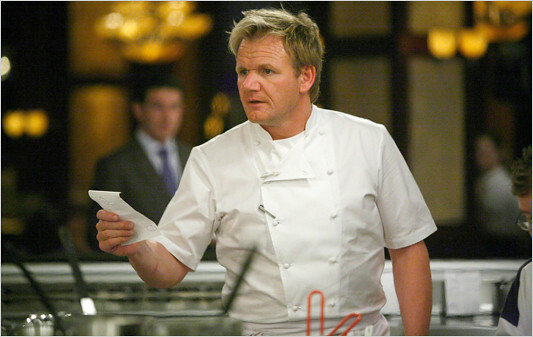 I got to know about Gordon Ramsay through the fantastic Master Chef USA, a TV program that I follow each and every year. It has excellent production values and its design as a television program is impeccable. Since I first saw Master Chef I also started watching some others’ Gordon Ramsay programs when I am in the mood for some TV program about food. Kitchen Nightmares USA or Gordon’s Great Escape (where he travels to other countries to learn traditional techniques, and where he changes his usual harsh critiques towards a more benevolent approach) are programs that are well done and that I like. If you don’t know who Ramsay is, he is the 2nd chef with the most Michelin Stars in the world. Because of that, and his TV programs, he’s one of the world’s most known chefs. He also had a stellar appearance in The Simpsons (Season 23, chapter 5, when the Simpsons become foodies – by the way, don’t trust anyone who calls him or herself a “foodie” – and food bloggers). If you like the person – or the persona – he’s got a fantastic YouTube channel where he shows how to make basic yet delicious recipes at home. with a better taste. I learned a couple of tricks with these videos. Perhaps it is because I saw some videos of him on Youtube, the video appeared as a suggestion when I was looking for a video of Finland for another post. The title of the video didn’t leave me indifferent: Gordon Ramsay tastes traditional Finnish food. What you see him tasting in the video is Karelian pies (karjalanpiirakka), then he continues with leipäjuusto with cloudberry jam, and finishes with the dish we talked about in our last post: Mämmi, that dessert that everyone in Finland eats during Easter. His comments are anything but nice, since he uses the word “disgusting” in all of them. There are several Finnish dishes that I recommend trying when you are in Finland. 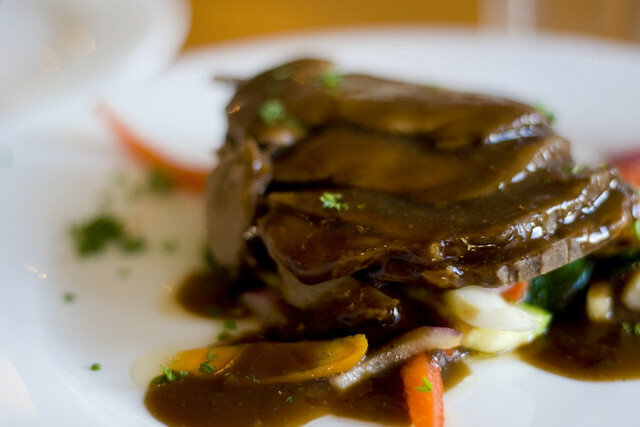 For example, I really love the texture and flavor of reindeer, something that you can get in many places in Finland. Also, bear meat is an exotic ingredient that tastes quite nice. Both ingredients are pricy, but worth trying when you are in Finland. For the über-fine-diners, there are 6 restaurants in Finland with Michelin Stars (one each): Ask, Chef & Sommelier (the newest additions to the list), Demo, Luomo, Olo and Postres, all of them in Helsinki. If you want go for high class Finnish cuisine with some reinventions of traditional Finnish food, this is your restaurant list. And if you’re not in Helsinki but it the rest of Finland (although it is also happening in the Finnish capital) you should try the street food on one of the Restaurant Days, where anyone can set up a restaurant for a day. What’s the Finnish dish that you like the most? And what do you think about the traditional Finnish food (for instance, the one that Ramsay tried: Karelian pies, leipäjuusto or mämmi)? 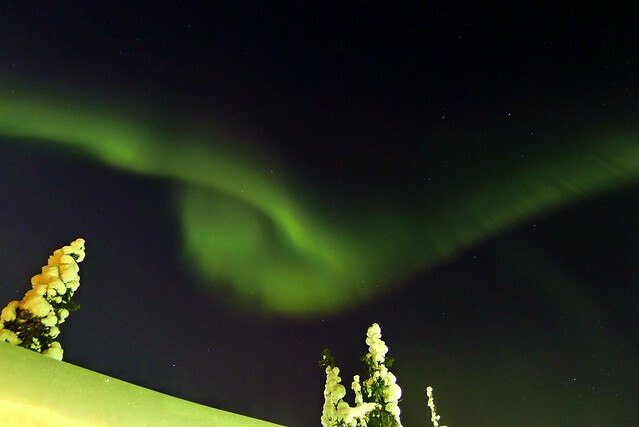 If you are in Finland right now you will notice that everyone is excited, and some are thrilled out of their minds. The reason is that Vappu is coming. And what is Vappu? It is the spring fest of Finland, the Labour Day and the May Day. 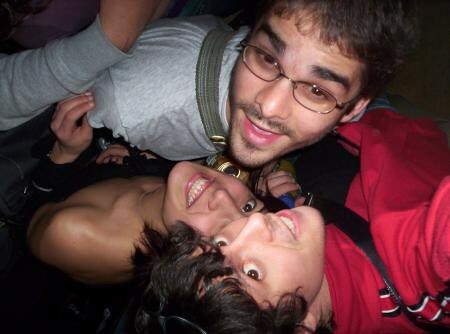 I remember how, during my first Vappu, nobody could explain to me very well what it was all about. It took investigation and thorough questioning, but the answers to it were the same as I said above. But that wasn’t all. 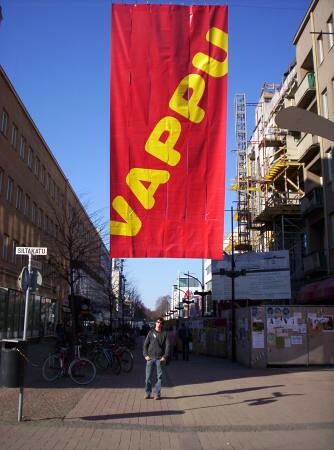 In Vappu you can meet two distinctive groups of people. The first group are the students. They wear their colorful overalls and their graduation caps and they go out to celebrate and indulge for a couple of days. I like that. Each faculty has different overall colors. 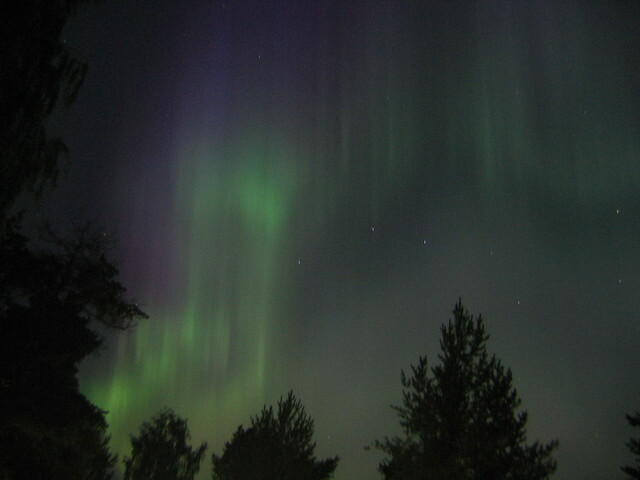 For instance, in Joensuu, the Science Park people – with whom I proudly tagged along – were dressed in purple. Others were yellow, green, etc., making it easy to discover fellow people. The overalls have brands on them, mostly local, from companies who subsidize their costs to the students. An overall from one of the Universities of North KareliaThe second group are the Finnish people who don’t belong to any faculty, either because they are through with university, or because they never went. Nonetheless, they wear their graduation caps as well: mostly white and with a little black. It seems the graduation from high school is a pretty important moment of every Finn’s life. They get the white cap that signals them as having finished high school and they treasure it all their life, wearing it on Vappu every year. I have discussed with Finns why they are so proud of having passed high school – especially in a country with a great school system – but I still don’t get it. Roses are another symbol of graduation day, where the Finns wear their best clothes. Two seniors wearing their high school graduation caps. The university students are the ones mostly carrying out the Vappu traditions. The first tradition is to wet a representative statue of the city – for instance, Havis Amanda in Helsinki – with champagne and put a graduation cap on it. 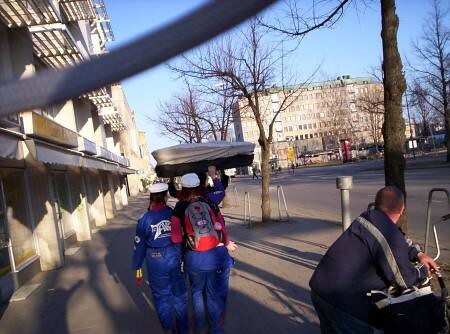 In Joensuu the students have a giant graduation cap – 1 meter in diameter – and they march to the university buildings with the help of a marching band and put the cap onto one of the statues in front of the Carelia building. Pretty cool. The giant cap being carriedVappu also marks the real beginning of spring in Finland: Around the first of May there is no snow anymore (or, if there is, there are only little heaps of it left over in the shade), and the days are so long that they are inviting the Finns to party. 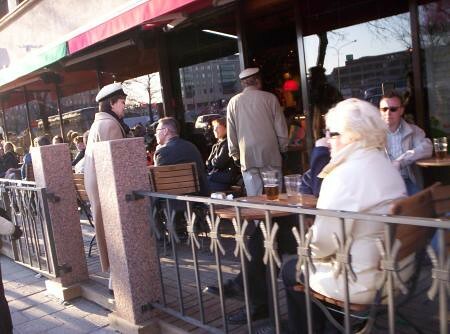 During my first Vappu, we had terrific weather and we always honored every chance of having some drink on a terrace, an excellent moment to make some Finnish friends. If you’re looking for a Vappu drink, try simä. If you prefer the food side, Vappu’s favorite is the munkki. Munkkis are Finnish donuts, and simä is a fermented drink that Finns make at home for this day. The munkkis I tried – homemade by the mother of a friend – were delicious, so I can definitely recommend them. 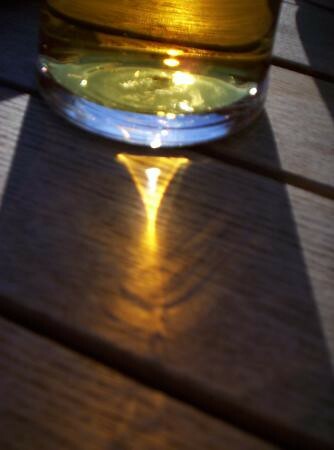 People, as I mentioned above, spend Vappu with infused happiness – yep, alcohol – outdoors, and having picnics in parks. Some Vappu parties can be found as well, and parties at night are common and almost a stop you can’t – and shouldn’t – miss. 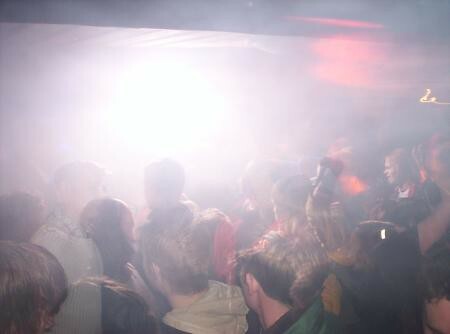 Student parties or club parties, you’ll have a great Vappu. Enjoy your day. People are much more friendly than usual, and – who knows – maybe a Vappu romance can start (another great day for it will be Midsummer, but we will talk about that another day): Vappu, alcohol, picnic, outdoors, springtime. A mix that can’t and won’t fail. 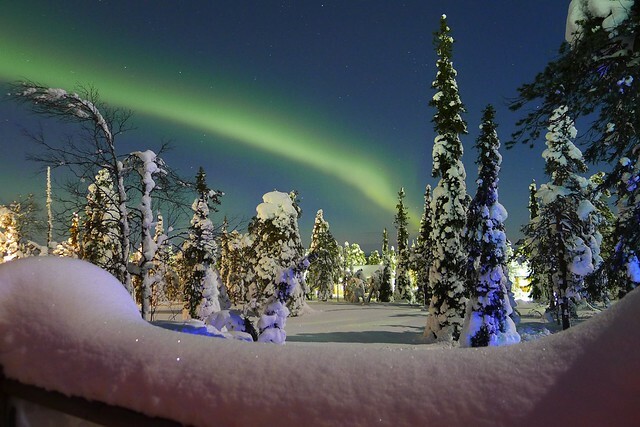 Have you spend Vappu in Finland? What are your highlights for this day? Some time ago we spoke about Finnish physical stereotypes and those of other European countries through maps. If the idea you had of Finns is that of naturally blonde people with blue eyes, you were right. Therefore, when I saw the following maps, I just had to go back to the post on stereotypes. 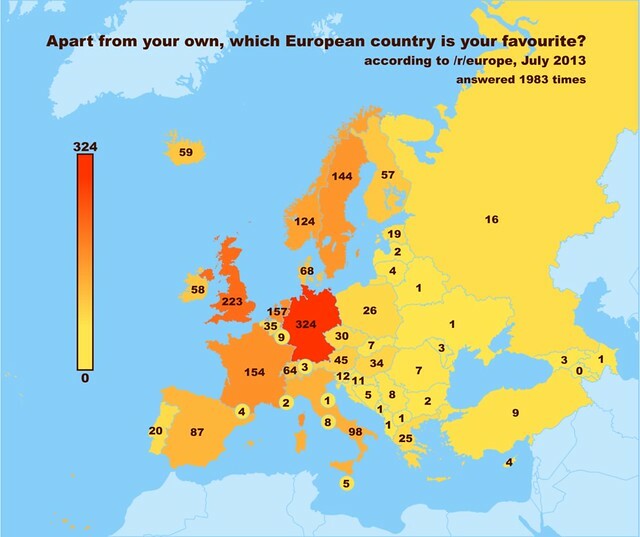 This time, and on these maps, Europeans were asked about what they think of other countries, and these are the answers to those questions. These maps and results allegedly came out of Reddit Europe, but I have browsed extensively and I couldn’t find the original voting, so you can take these results with a grain of salt. Nonetheless, since they are interesting, we will give them a little validity. The source of the images is imgur. 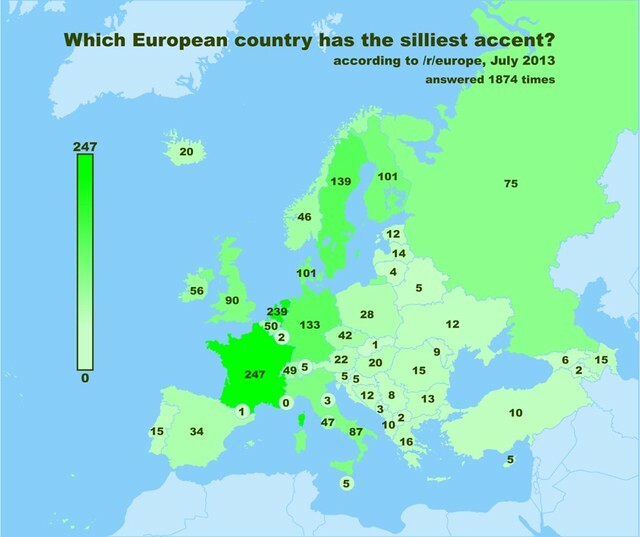 What European country has the worst accent? We know that the Finnish accent can be quite funny – if you want an example, check out the video of Markku from Finland -, but the Europeans have decided that the worst accent of them all is French. I’m not going to contradict them, but I like the French accent while speaking English and how they add the “ehhh, you know?“, every few sentences. 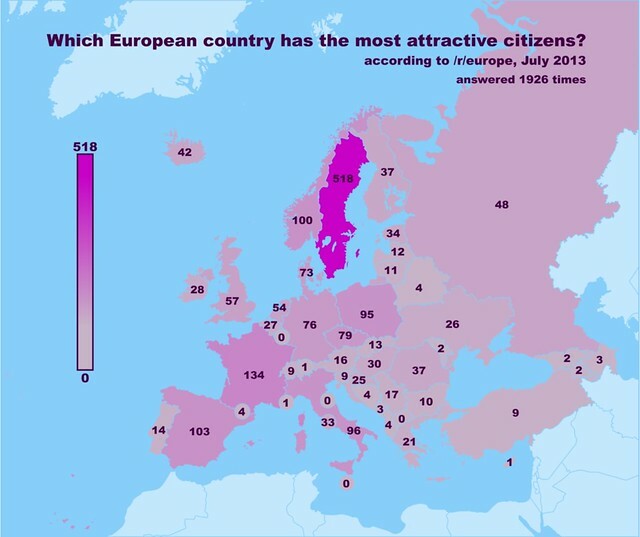 Which European citizens are the best looking? It is true that Swedish ladies always had the fame of being good looking – although Finnish girls have told me in confidence that their sun tan is from solariums and they dye their hair, and therefore aren’t natural beauties. Regarding the Swedish men, some Finns have told me that they look – how to put it – “less manly” because of how they dress and their preference for grooming. These things are of course an exaggeration – I’m sure not all Finns believe this about their neighbors – but all these things I’ve heard from them. Anyways, Europeans seem to like, democratically, Swedish people the most. 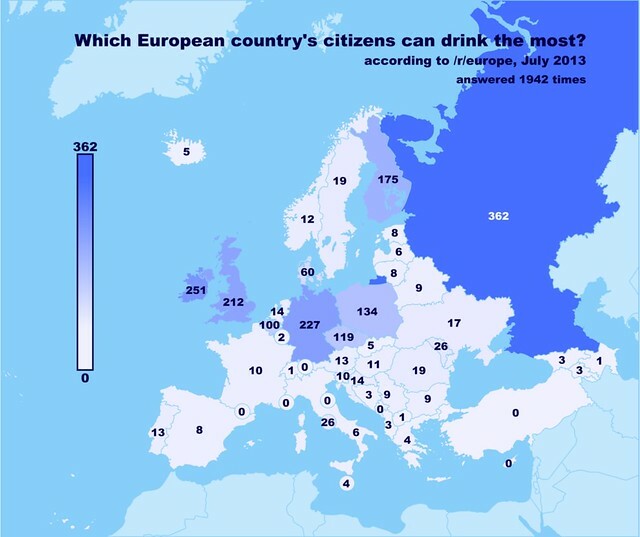 Which European citizens drink more than any other? 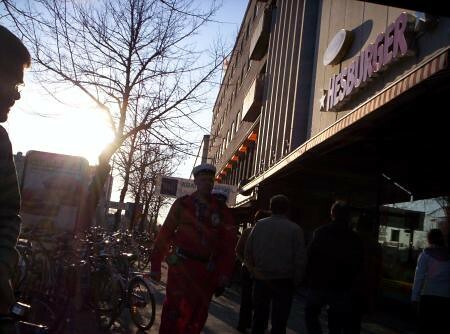 If you’ve never been in a Nordic or Scandinavian country, you will find the concept of the Alko, a state-monopoly store for the sale of alcoholic beverages, surprising. In any case, the Nordic alcoholic beverage consumption pales in comparison with the Russian, Irish, German and British. What’s your opinion about these results? Besides your own, what’s your favorite European country? Germany – the country I currently live in – wins big in respect to all the other European countries, and is followed by Great Britain, the Netherlands and France. Central Europe wins in this question, whereas Finland is the last one of the Nordic Countries, led by Sweden. Why do you think it is like that? 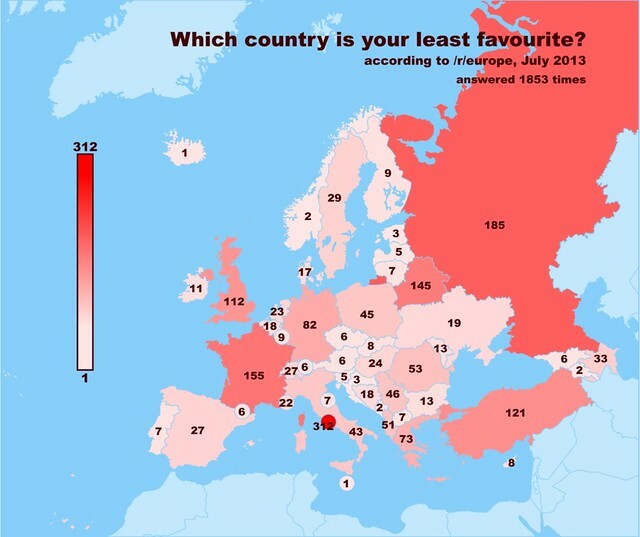 Which country is your least favorite? The Finnish neighbors, the Russians, are the “winners” here… if we don’t count Vatican City, the most hated nation of Europe. We won’t talk about Vatican City, but we did have a fun time visiting Russia from Finland (a country from which you can visit Russia without a visa). Could it be Putin’s leadership and his attitudes towards homosexuality and Ukraine? Finland, with just 9 votes, is one of the least hated countries. 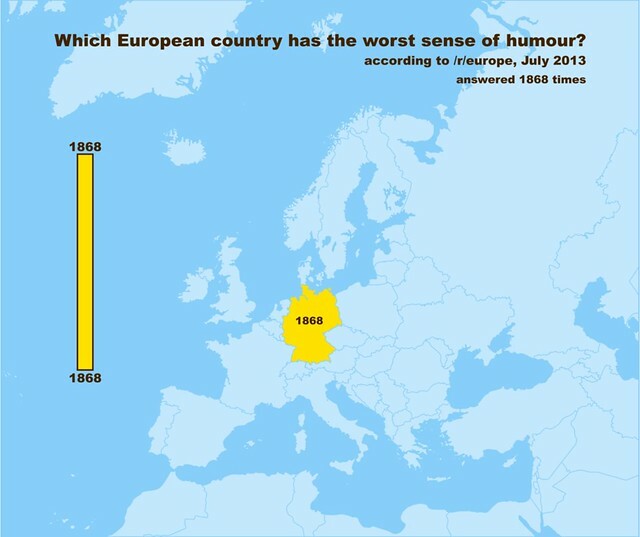 And the last question: Which country has the worst sense of humor? This explains why some Germans find me hilarious. What do you think of Finland after seeing thse maps? Where do you think it should be higher on votes, and where lower?